On April 28, 2014 at 1:00pm to 5:00pm, Henry Sy, Sr. Auditorium in St. Luke's Medical Center, Global City, Taguig, Investors In People (IiP) Philippines hosted the "Secrets to Achieving..International Good Practices in People Management" forum & awarding of Standard Award for Accreditation. love to learn & empower myself more and the speakers surely didn't fail me. Under the Chairperson of IiP Janet Webster Watson, to become successful, one must do the Planning, Doing & Reviewing which as for me it's like being prepared all the time, walk the talk then learn from it. The best talk I would say came from Filipinos; CEO & President of St. Luke's Hospital Dr. Edgardo Cortez & Patricia Whyte of Q2 HR Solutions, Inc. According to Dr. Cortez,"Courage, Focus & Dedication" are the three things that team members under his leadership are what empowered the team. From him, the culture is not an event but a process & if the culture of the company is great, people are great too. I would like to agree with him, people are the ones giving the company reputation & stability. At that moment, can't help but to compare the different companies Ive been because of culture & I would say, Dr. Cortez is right. Under Patricia White. I love her story about Q2 HR Solutions, Inc. Her company she built with his husband who died and left her with three beautiful children when they are in the middle of success. She mentioned that, success is about hiring the right people. She acknowledge her Chief Operating Officer who was just a newly graduate student when first joined Q2 but with the right training & mentoring, now in the ladder of success. Wow! A good room for improvement at Q2. I would say, honor & be grateful for those people who are with you from then when there's still no stability but still around. I love what she's doing for her management. A filipina married to a foreigner but now a widow & still empowered. 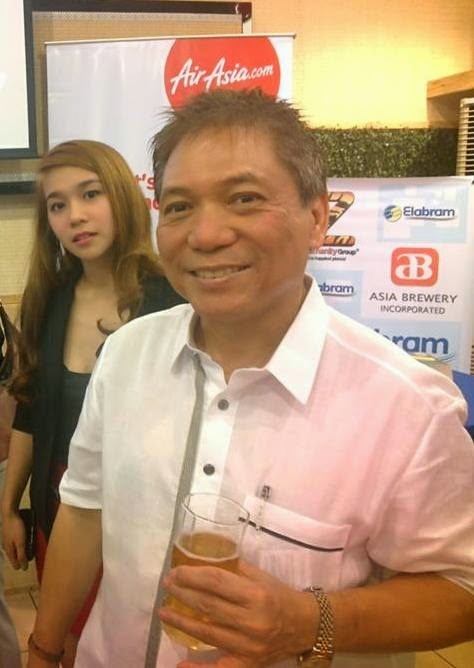 Lastly, my fave speaker is no other than the President of Lyceum of the Philippines Peter Laurel. He discussed the importance of Key Performance Indicators or KPI that could result in continuous improvement of the team members & his school. I'm aware about Lyceum since we have one in Laguna. I must say that schools come and go but this one is like mushroom, a lot of branches around the Philippines. With Mr. Laurel undergrad from London & MBA under Asian Institute of Management, he must be doing well. 3. Corporate is Beting profitability. Get people with purpose not because of salary. 4. There must be clarity in direction. 7. A person must have tenacity, perseverance & courage. 8. Be professional- As for me for Dios por santo, stop laughing out loud specially if you are in the same room with your country manager. Overall, my time well spent & from the looks of my article, I learned. Cheers!! 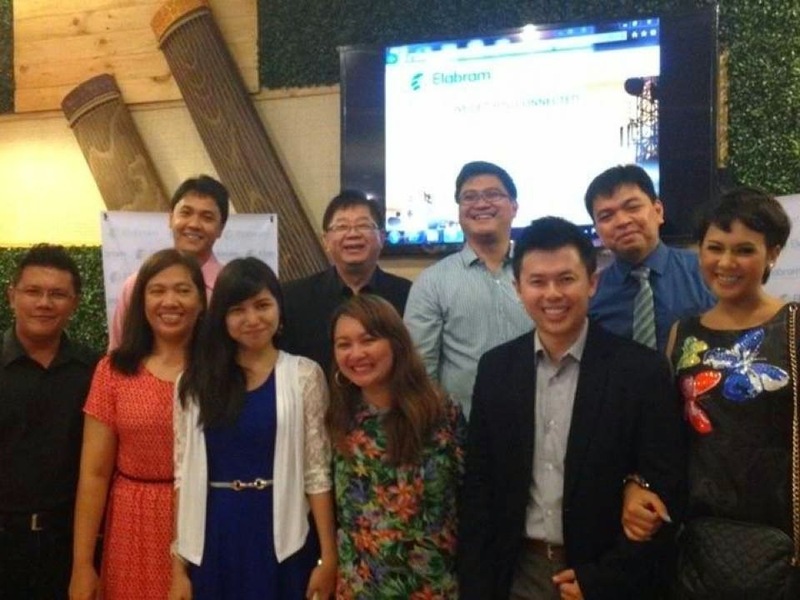 Elabram Systems Group Website has been launch in the Philippines and this is actually a 6 months preparation. After 15 years, ESG now have a new website, logo and a public introduction in the Philippines. 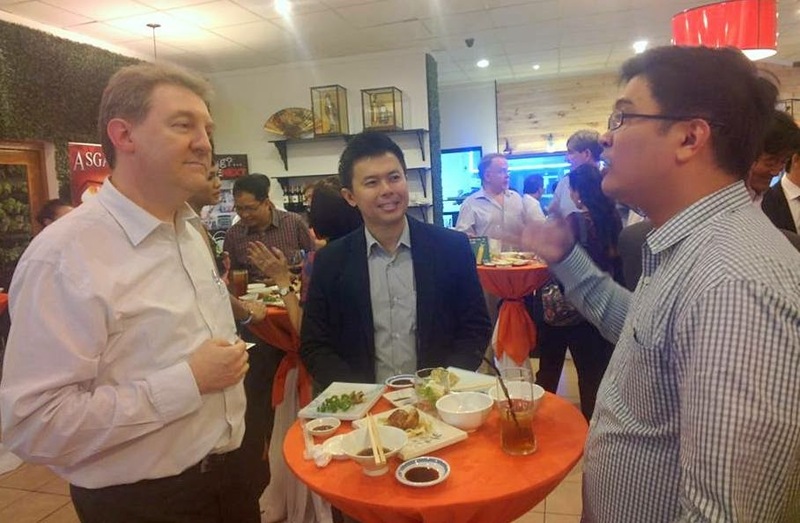 On April 25, 2014 at 7:00pm, Elabram Systems Group (ESG), a reliable service provider with headquarter in Malaysia & offices in Philippines, Thailand & Indonesia launched its new & updated website in Manila and was attended by corporate VIPs and personalities like Ambassador Macario Laurel, Vice President of European Chamber of Commerce Martial Beck, Haciendero and Nuvali honcho Sel Yulo, VP for Head of Network Operations Center for PLDT, SMART & Suncellular Enrique Gabriel and Yupangco Group of Companies President Robert Yupangco among others. 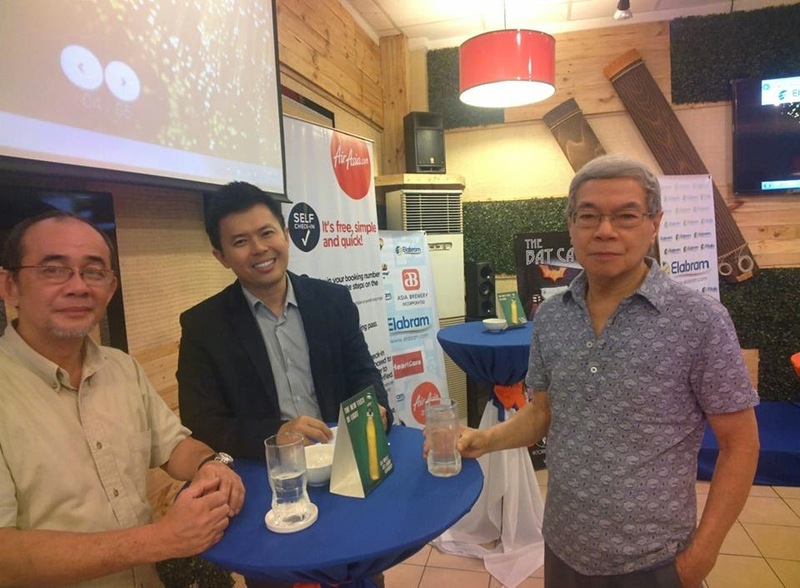 Partners of the event with their representatives attended too like Air Asia Philippines, Xyxon Pte Ltd, Victoria Court, Asia Brewery Inc. while Gardenia Bread Philippines sent a lot of delicious breads to all attendees. The website launch is one way for the company to introduce the four solutions it's offering not only in the Philippines but globally. The solutions/services are Talent Acquisition & Deployment (TAD), Network Process Optimization (NPO), Knowledge Process Outsourcing (KPO) and Business Process Outsourcing (BPO). According to ESG Marketing & Branding Manager Engr. Grace Bondad Nicolas, "Elabram Systems Group is the preferred service provider of top Telecommunication companies worldwide. In the Philippines, the ESG CEO chose to expand for its Business Process Outsourcing because he believes that Filipinos are creative & productive." 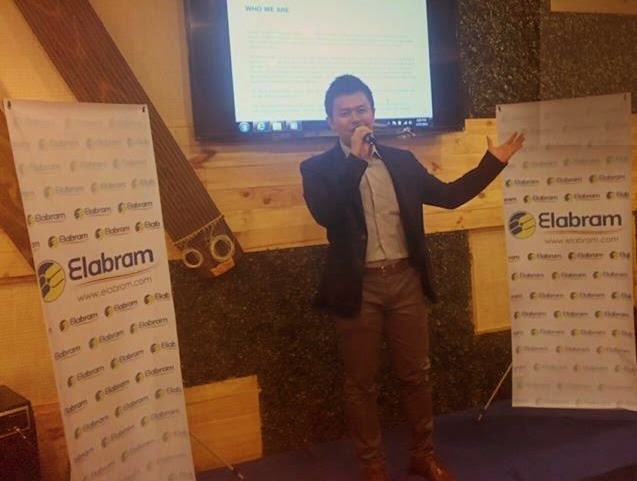 The website launch was proudly attended by Elabram Systems Group CEO & Managing Director Mr. Mikel Yaw, Project Director Jimmy Loh, Associate Director Engr. Joel Nuesca, Business Administration Manager Anna Liza Valdez, Project Manager Engr. Arnel Castaneda, Marketing & Branding Manager Engr. Grace Bondad Nicolas. Others from ESG also include Engineers; Greg Bolaton & JC Quillantes with Business Administration Executive Veronica Manuel. Just recently, top employees of Elabram Systems Group in the Philippines was hailed by Huawei & Ericsson for the job well done in their projects. Nicolas said. 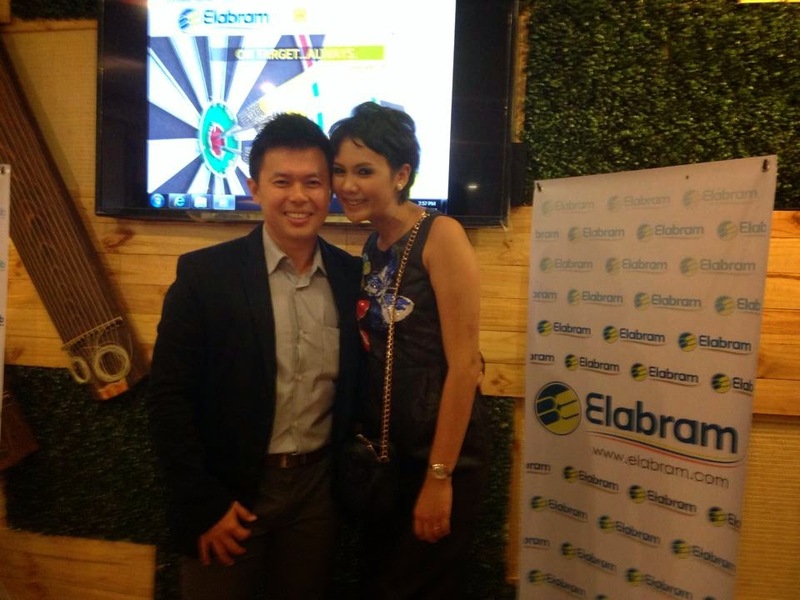 Elabram Systems Group is already 15 years in a Telecommunication industry & five years in the Philippines. As of the moment, the company is hiring 300 employees for its global partner that is base in the Philippines & have an ongoing recruitment campaign in Social Media using #FuelUpYourCareer as the campaign slogan.